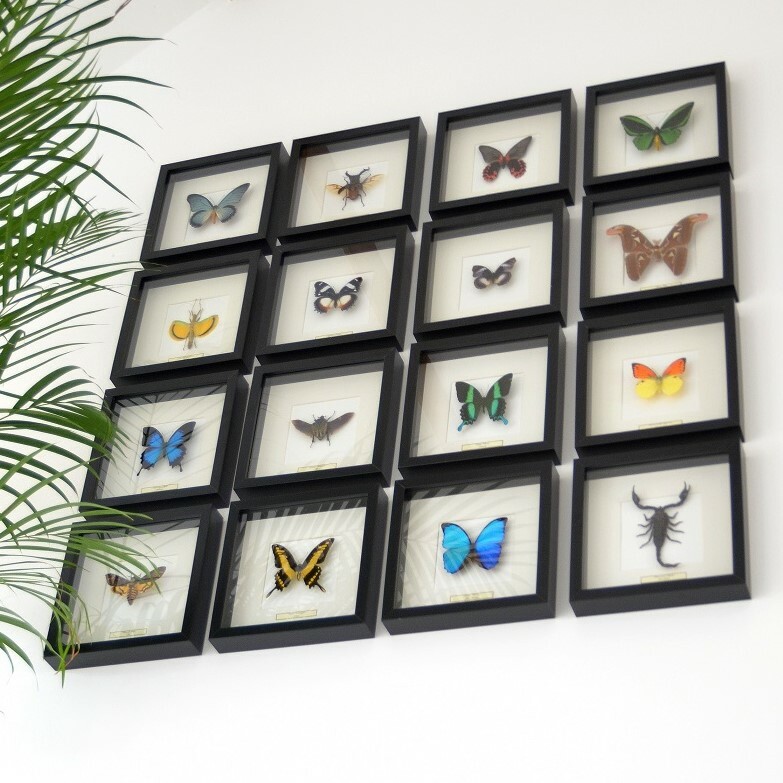 We have more than 350 types of mounted butterflies on stock. All butterflies in the webshop are available in an exclusive handmade wooden frame (only available in De Museumwinkel.com). Our lists are specially made for us and of high quality wood. Also, there is used acid-free museum paper and museum glass. With the mounted butterflies the average size is mentioned. You can choose a frame of your choice with your butterfly. We will send it assembled to your home, including a name label under the butterfly. The mounted butterflies we offer come from butterfly farms in South America, Africa and Asia. We mount the butterflies ourselves, so we can guarantee a good quality. If you are interested in another frame or in butterflies in a glass dome, please feel free to contact us! Are you looking for a special kind or species of mounted butterfly, please let us know! We also have dried butterflies!